Have you made a change in your electrical usage? Changed light bulbs, replaced appliances, or changed your habits? Wondering how those changes have affected your electrical consumption? 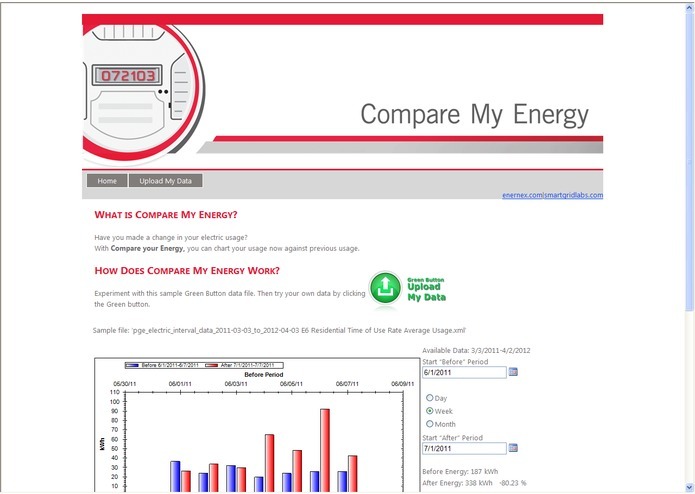 With Compare Your Energy you can chart your usage and see how the changes you’ve made have affected your usage. 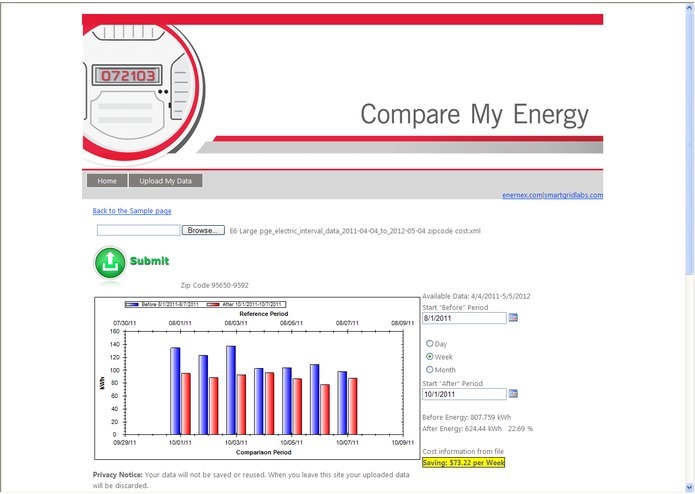 You can download the Green Button data from your utility, upload it to Compare Your Energy, and experiment with comparing different periods in your usage.